all with real-time, confirmed online reservations. 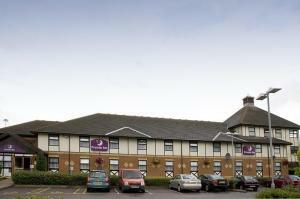 Premier Inn is an international network of convenient, modern budget hotels for comfortable business and leisure travel. 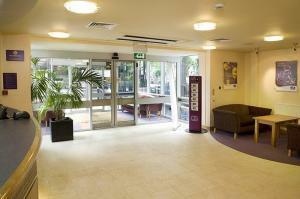 Premier Inn offers you 3 star family friendly hotel accommodation in a wide choice of destinations in London. From the Premier Inn London City hotel, you can walk to the Royal Mint, St. Paul's Cathedral and The Monument. The hotel is close to London City Airport. Premier Inn London Docklands is next to the ExCel Exhibition Centre in Royal Victoria Dock, just minutes from London City Airport, Canary Wharf and the O2. 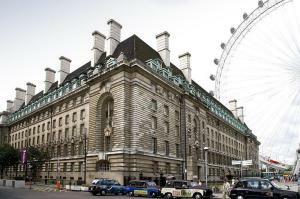 In the historical County Hall building near London's South Bank, beside the London Eye, opposite Big Ben and 350 metres from Waterloo Station, this Premier Inn has modern, family-friendly rooms. 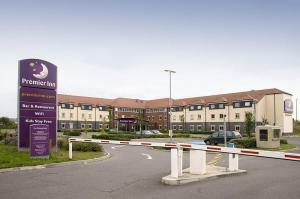 The Premier Inn London Elstree is a good base for a trip to the Elstree Studios, where TV shows such as Big Brother, Dancing on Ice, Eastenders and Who Wants To Be A Millionaire? are made. 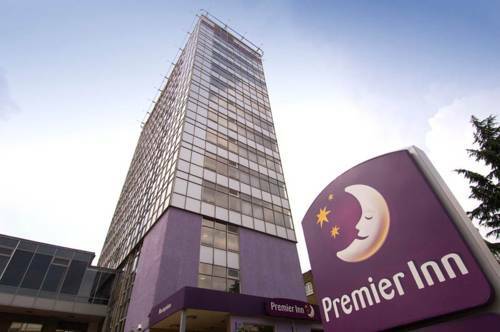 Premier Inn London Euston has air-conditioned, family-friendly rooms and is located between Kings Cross St. Pancras and Euston stations, offering superb train links across both London and Britain. The London Hammersmith Premier Inn has a convenient location, close to the riverside walks along the banks of the River Thames. Ravenscourt Park Station on the District line of the London Underground network is less than 200 metres way and Hammersmith Station is just a 10-minute walk away. 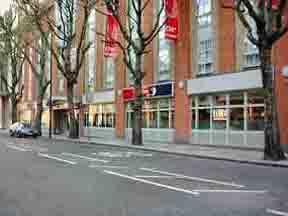 Surrounded by Hampstead's restaurants, bars, shops and boutiques, the Premier Inn London Hampstead is a 2-minute walk from Belsize Park London Underground Station. 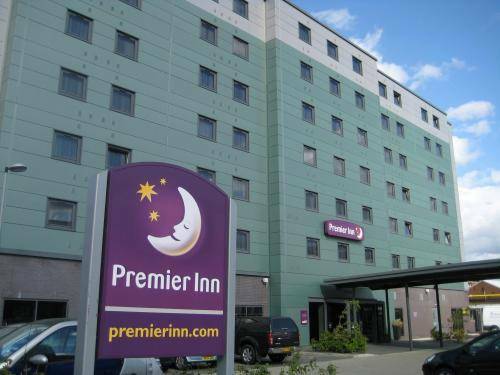 One mile from Heathrow Airport terminals 1, 2, 3 and 4, this Premier Inn is within easy reach of the M25 and M4, and 2 miles (3.2 km) from Hounslow town centre. 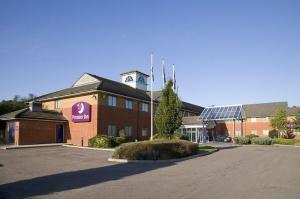 Conveniently situated, Premier Inn Heathrow M4/J4 has a hotel shuttle service, providing transfers to and from the airport. The Heathrow Express service at the airport offers excellent rail links. 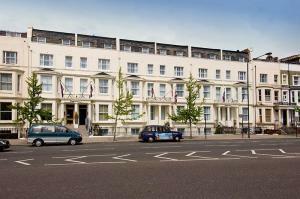 Premier Inn London Kensington (Earl's Court) is close to many cultural attractions, such as the Royal Albert Hall, Natural History Museum, Science Museum, Victoria & Albert Museum and West End theatres. Less than 400 metres from Earl's Court London Underground Station, this Victorian building was refurbished in January 2009 and now offers family-friendly, air-conditioned rooms. 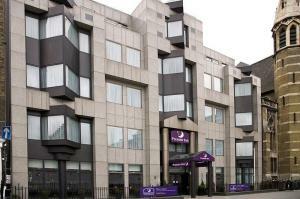 King's Cross Station and the London Underground is a 2-minute walk from this Premier Inn. Access 7 Tube lines and be in Oxford Circus in just 10 minutes. 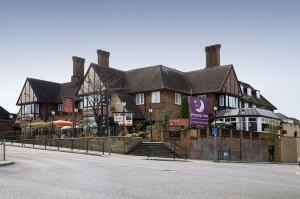 Ideally located, Premier Inn Loughton/Buckhurst Hill is close to Buckhurst Hill Underground Station and near Epping Forest, providing the ideal base from which to explore the surrounding area. Next to the Thames on the South Bank, this Premier Inn hotel has family-friendly rooms and is an easy riverside walk from Shakespeare's Globe, Tate Modern, London Dungeon and the London Eye. 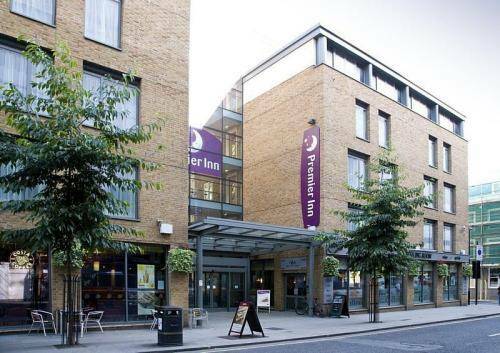 A short walk south of Tower Bridge, this London Premier Inn is close to the Tower of London, HMS Belfast and the City, and has good transport links across London. 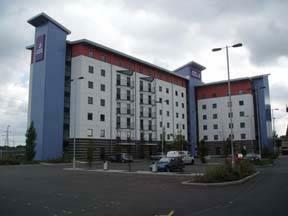 Luton (Airport) Premier Inn is close to Luton Airport Parkway Rail Station, as well as London Luton Airport. 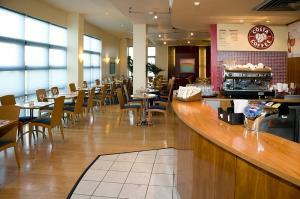 It has free guest parking and an on-site Beefeater restaurant. 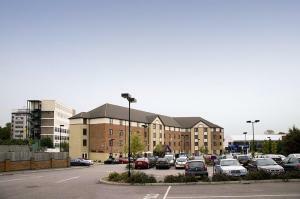 The Premier Inn Luton South (M1, J9) has a convenient location with good access to the area's major roads and to Luton, Dunstable, St Albans and Harpenden. London, Milton Keynes and Whipsnade Zoo are also all within easy reach. 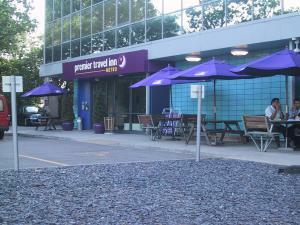 Premier Inn London Kew is by the River Thames and Kew Gardens, and close to the M4, and Brentford and Kew Bridge train stations, which have good services to London Waterloo. 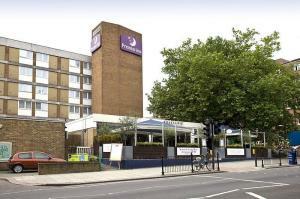 The Premier Inn London Putney Bridge is well placed for London's Wimbledon Tennis Championships, as well as the West End, Earl's Court and the Olympia Exhibition Centre. With free parking, this hotel is next to Beckton DLR station, with train links to the ExCeL Exhibition Centre (10 minutes), O2 Arena (18 minutes) and central London (33 minutes). London City Airport is a 10-minute drive. 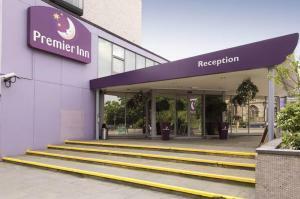 Accessible via the M1 motorway, 800 metres from Edgware Tube Station, 4 miles (6.5 km) from Wembley Stadium/Arena, this Premier Inn has family-friendly rooms and free parking. 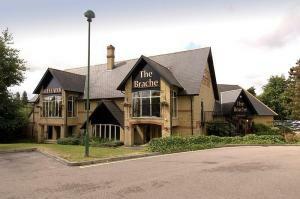 Next to Ealing golf course, within walking distance of Perivale London Underground Station (Central Line), this Premier Inn hotel has free parking and a Two For One restaurant. 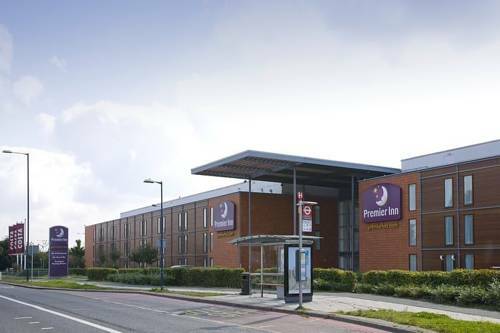 With free parking and family-friendly rooms, this Premier Inn hotel is beside Kenton Station (Tube and National Rail), which is 6 minutes from Wembley Central. 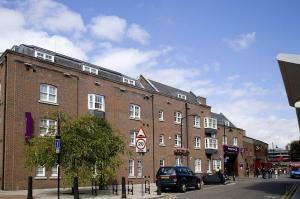 Westminster University and Northwick Park are within walking distance. 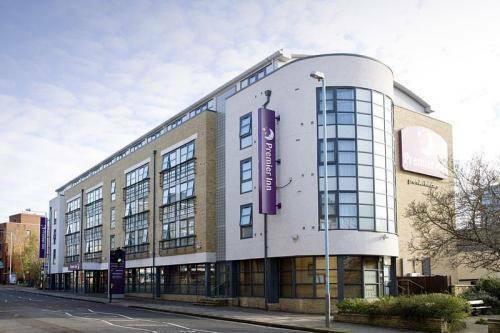 With family-friendly rooms, this Premier Inn hotel is next to Wembley Park Tube Station, 5 minutes' walk from Wembley Stadium and Wembley Arena; 12 minutes' Tube ride from central London. 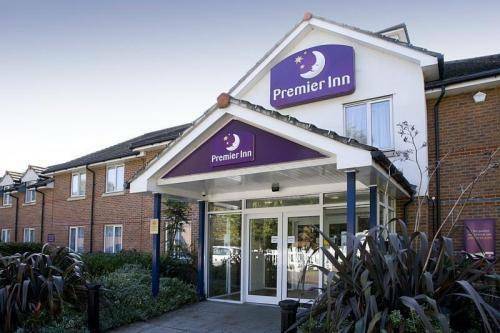 With good Tube links, this Premier Inn has free overnight parking and is 3 miles (5 km) from the All England Lawn Tennis and Croquet Club, home of the Wimbledon Championship. Less than 350 metres from Victoria Station, this beautifully preserved, elegant Victorian building now offers modern, fully refurbished, air-conditioned rooms at great-value rates.